“Black Panther” is a bold departure from the normal Marvel Universe movie. The movie is extremely colorful, has visual interest and has a detailed back-story. The detailed back-story is played out and sets the stage for the events that happen throughout the movie. “Black Panther” is extremely entertaining. The visual effects are awesome. There is plenty of action and suspense. The costumes adorned are beautiful. The cinematography at times is breathtaking. One aside is that the villains are a bit weak…but this is the first installment. This first installment is off to a great start. 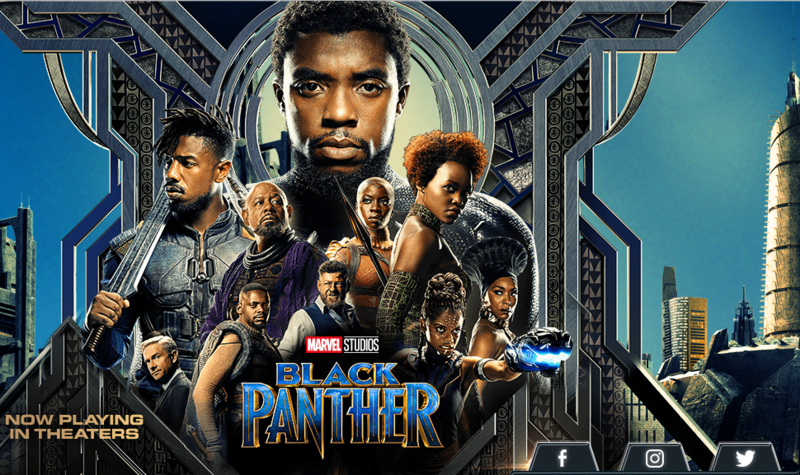 If you are even mildly interested in the Marvel Universe, “Black Panther” is a “MUST SEE”. This is a 5 Star Move! 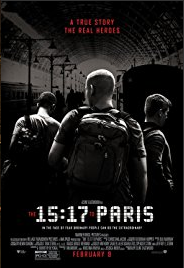 The 15:17 to Paris” is based on the Aug 21, 2015 real life event where a would-be terrorist boards a High-Speed Train that is bound for Paris. During travel the terrorist attempts to kill passengers on the moving train, but the attack is thwarted by 4 very brave men, 3 of which are Americans who were traveling together thru Europe. “The 15:17 to Paris” would be excellent if it weren’t for the choppy back story that ensues before you get to the main story. The movie is definitely worth seeing. There is some very nice cinematography. The paid critics were really Luke-warm about the movie, but it’s not all bad.